Liverpool is renowned for a lot of things; its amazing docklands, being the home of The Beatles and being the capital of Curly Blows but how much scouse lingo do you know? Use: Stop being an arl arse. Use: I’m going for a bevvy with me arl fella. Definition: Someone who’s from the surrounding areas of Liverpool such as the Wirral or St Helens. Use: He likes to pretend he’s from Liverpool, but he’s from the Wirral the wool. Use: G’wed, lad. Nice one. Use: I’m going the Asda for some bifters. Use: I’m going the Asda, lid. Use: They’re some boss webs, la. Use: I’m not going the Asda when there’s an offie down the road. Use: Me arl fella’s house is pure antwacky. Use: Gis one of those bifters so I don’t have to go the offie. Use: Lad, don’t be an arl arse and borrow us ya trabs. Use: What you on abar, you wool. Use: If I eat any more scran I’ll end up in the ozzy. Use: You seen all the bizzies outside the offie? Use: In a bit, la. Use: Don’t be a blert and give us a lift to town. Use: Ay La, those webs are boss. Use: He’s got a cob on abar the match, lad. Use: I’ve only gone and ripped me kecks, lad. Use: Me ma won’t let me out because I was sagging off. Use: You keep dixie while I run into the offie for some bifters. Use: Eee, stop geggin’ in. Use: Am not even messing, he had me in bulk. Use: You seen her bins, they look a show. Definition: It’s an insult but not completely offensive, a dismissive term meaning an idiot or someone stupid. Use: Ignore him lad, he’s just being a proper meff. Use: Swerve that meeting later let’s go get some scran. Use: Haha get on to her barnet it’s a show! Use: What’s up with your grid? Use: Arr Ay that’s arl arse that! If you think we’ve missed anything let us know by commenting below. 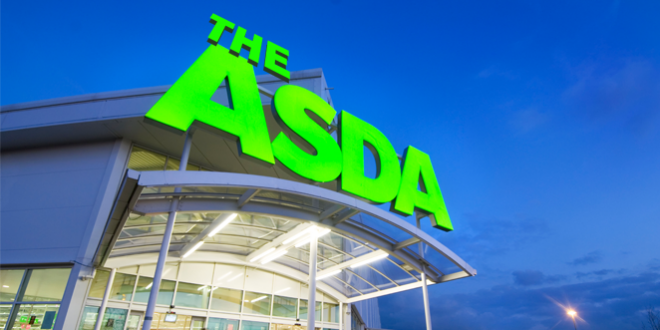 I’ve lived in Liverpool for about 8 years and I think what that means is ‘Go down the Asda lad and give it to us’ meaning ‘go to Asda and get …. for me’ – Maybe? No…. it definitely means “quickly”. “Running away” can be giving it toes. If you ask someone else to ‘give it toes’ it means “hurry up – make it fast”..
Must be a new one! The baggy meaning the launderette. And compo, the money you receive after having an accident or insurance claim. Eg. Come on minge bag, go to the bar, we know you are brewstered since you got your compo, stop being a complete arl arse. How about brassic (no money left)? Never heard of “abar” though. I’m from Liverpool and it sounds a bit Lancashire. Maybe “abou” coz we never finish our words !!! I must have heard it abar a billion times….. “Abou”??? Proper wool jangle that lad. Get on tha lid it’s proper sick init.. meaning,,look at that kid (aka lad) isn’t that boss. YE NO WARA A MEEN COMES TO MIND. YOU KNOW WHAT I MEAN, YOU UNDERSTAND DONT YOU. Arl arse means ‘sly’ not ‘cruel’! Meff is normally a scruff not an idiot. An idiot would be a div or divvy, although not sure if it’s just a scouse saying. I agree meff is a scruff..
Meff is a scruff, Such as look at her in a PJ’s, as she go no cloths to wear the Meff. Swerve it Lid and bail, me heads chocka. ‘Judy’ is old school, you’d hear ‘Bird’, more. Tart is an old school, as is bint. “Dead” meaning really and very. Use ” I’m dead made up”. I’ve also heard “geg” used as an alternative to “leave” Eg. I’m gegging – I’m leaving. And there’s also “Do one” – an instruction to someone else to leave, as in “Do one, you meff” – meaning “go away, you scruff/idiot/scruffy idiot” take your pick. But the best is “dead” meaning “very” Eg “dead good”, meaning “very good” . Dead dead means very dead. BANG ON OR ON TOP- The wanna see how many bizzys are there its bang on/on top. Ive been here 7 years now and there’ are some on that list we use down south too like bevy, baltic, bifter and offie. some I’ve never heard anyone say yet and some that aren’t on there. Everything gets shortened too! Leccy for electric, lemo for lemonade, maccies for McDonald’s. Beut is both. Depends what sentence or way you use it. as you know, there is around he’s a Beut him. Where as you have for instance. My friend got a new motorcycle so I would say. Ar lad belta, she’s a Beut. MINGIN! meaning its horrible. That top is mingin. (That top is horrible/ugly). Connie onnie is condensed Milk. Come Edd means Come on. Smart arsse. Meaning know all. The Jigger…alleyway / entry between houses or streets. Give it loads…means give your all. If yer ‘aven’t Gorran perple wheelie bin, yer a wool. True, I’m a woolly back from Prescot. The kip of me Barnet need to get it sorted this week! What about -the jigger= the back entry, a jigger rabbit = a cat . A rumble up the jowley= a fight. Bifters could also be ” givin’ it the bifters ” which means doing something vigorously . And while we’re on the subject of swearing is fuckwit a purely scouse saying or is it nationwide ? We’ve got that many slang words everyone else can barely understand us . He/She’s gorra gob like a bag a spanners. Gorra face like pound a smacked tripe! The other day means abar last year and the other week is over a year. She said that the other day lad.. wot day kid? Erm erm think it was the other week lad like last June or sutin.. Knock it off will yer!! I’m 42 lived in Liverpool all my life and have never heard a girl referred to as a ‘judy’. I think that was mentioned on that cilla black programme so probably died out in the 60’s! I’m 58 and from Liverpool and I have heard women referred to as someone’s Judy although being referred to as someone’s tart is more usual. In bulk can also mean very ill or in pain. translation “Hey look at him he couldn’t catch a pig in a back alley. If yer carnt fight wearra big ‘at said when one sees a person wearing an overlarge hat. I was a teacher and often heard some great examples such as “Its eeze” meaning ” it is his” But a wonderful one was when a little boy came out and asked me how to spell “angle” when they were writing about hobbies. I said “Oh is your hobby fishing?” “Yes Miss” was his reply. I thought it was nice that he knew to fish was to angle. However when I came to mark his work the relevant sentence in the story was, “Me Dad bought me a fishing rod with a wooden angle” ! “a elephant” or “a apple” or “a ‘oliday* not easy! Scousers call people from areas surrounding Liverpool like the Wirral and St. Helens “Plastic” as in fake! I lived in Liverpool all my life ( off Scotland Rd ) could not be moreLiverpool than thatNd ALL the girls got referred to as Judy’s by their boyfriends. eg .My Judy . Yes this was inthe. 60’s. Just throwing it out there, blert does not mean idiot. It’s another insult yes, but it’ll 100% does not mean idiot. ‘Job’ taxi. Eg. Mate ring us a job. ‘Blower’ phone Eg. Mate get on the blower its been bout 20 minutes. ‘Seater’ give a lift on a pedal bike. ‘Grid’ Face eg. Get on her grid proper show. ‘Railings’ teeth eg. Look at him, needs to get them railings sortex . Arl arse. Isn’t “cruel” and can be a noun or adjective. It’s just a general insult, often in jest, such as “State of arl arse there dead-‘eading me geraniums”. Antwacky is “Aunt Wacky” as in an old-fashioned maiden aunt. Wooly is short for wooly back, as in a sheep. You could also say ‘givin’ it beans’ for trying really hard instead of ‘givin’ it bifters’. ‘D’yaknowwharimean (say quickly all together) like’? Seater for a lift on the back of someone’s bike (you stand up and peddle whilst the person you are giving a lift to sits on your seat). Scousers call 1/2 bitter and lager mixed in a pint Golden, Wirral Squirrels call it a Chinese. Scousers call Southern Comfort, lime and lemmo a Steamboat, the Wirrals call it a Steamboat. Finally, this might be old fashioned – pop for any fizzy beverage. I am born and bred Liverpool but have worked on the dark side. Ooooops. Typo there. The Wirrals call a Steamboat a Swizzle. How about ‘He was giving me down the banks’. Heard a school girl saying after a teacher asked her for her homework. I can already tell that’s gonna be super hefplul. Always remember working with some lovely scouse ladies when I was younger . I remember one saying she’d “give him down the banks” . A: Nuttin – ahm ahr rice. Youse ahr rice? I am stressed/you are causing me stress. What does ” if yer ‘avent Gorman people wheelie bin, yer a wool” mean? Never heard west or Judy being said and a meff is a scruff! I teach in Liverpool. I think ‘pure’, as in ‘pure Baltic’ (or pure anything) is far more common than ‘absolutely’. One can be said, for example, to be ‘pure messin” or ‘pure fumin”. Occasionally ‘proper messin” or ‘proper fumin” may be used but I rarely hear the word absolutely. Also, nobody in Liverpool is ever embarrassed. They are ‘ashamed’ if their hair looks a ‘proper show’. What about Deydododatdoughdontdeydo meaning yes they do! Joke shop if job centre. Eeee worra ya like…….. what are you like. Day do doe dont day. I remember stuff like going the cakey (sayers) and ah hey r ah. Heard someone on the tv claim ‘get your golly on’ is a scouse saying.What does it mean ? 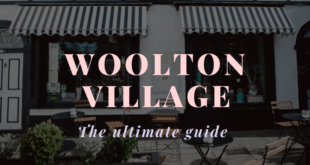 I grew up in Merseyside most of my life (I’m not a “wool” though, because I was born in Cambridge) so I am familiar with most of these – and I watched Brookside over the years lol! There are a few that I’ve never, ever heard though. “Judy” is one of them; I only ever hear Scouse guys refer to their girlfriends/wives as their “bird” or “missus”. Also, I’ve never heard trainers being called “trabs” or “webs”, I have only ever heard them being called “trainees”. Furthermore, where “arl” is concerned, I always thought it was “ald”, meaning old, and that “ald arse” meant old git. Also, I thought “cob on” was actually gob on; there is even a lyric in a Mansun song: “You’ve got a gob on, my desperate icon”. Mansun are from Chester, by the way. I know a few more Scouse terms too; “photies” means photographs, “avvy” means afternoon, “int” is used in the same way Americans use “Not!”, “odds” means spare change (“Gorrany odds?”), “schoolie” means school child, and “steg” means dork.